Coworking as Business Accelerator In Northfield? Ten years or so ago, the Northfield Economic Development Authority (EDA) formed the Northfield Enterprise Center (NEC) to assist small businesses in Northfield. One of the original goals was to create an incubator space. I don’t know what the folks that formed the NEC thought an incubator might look like- but since the times, economy, and demographics of Northfield have changed a bit since then, the Board of the NEC and I are taking another look at the idea. One of the ideas that is being looked at is something called a Coworking space. 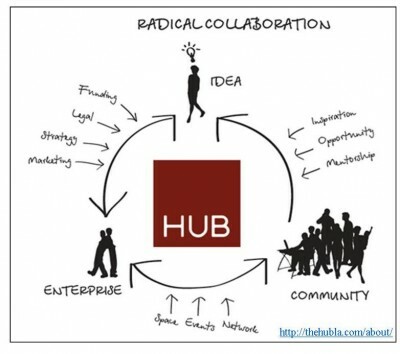 They are spaces for innovative thinkers, entrepreneurs, freelancers, mentors, and sometimes non-profits to gather together around the concept that together they can build more successful companies and organizations. They are designed to be the best of many things- cool workspace, coffeehouse, social club, and high-tech conference centers. There are several business models for Coworking locations…and at this point I believe the NEC is in “listening” mode. What do you think of this idea? Would you rent space to work a few times a week? How about a conference room that has all the latest high-tech bells and whistles yet looks out over the beautiful, historic downtown? What if you could grab a cup of your favorite coffee and head to a space where you meet really fun, cool, innovative people doing amazing things together? Could a space like this keep recently graduated college students from leaving town? At this point, we have many more questions than answers. But we’d love to hear from you. We’re planning a meeting in January- in the Coworking world these kind of meetings are called “Jellies”. The NEC has hired an intern from St. Olaf for Interim to help with this process and we are very excited to hear your ideas. So- are you up for attending a Jelly in January to talk about your perspective? Email me if you are interested in more information or if you want to receive an email notification of the meeting. Also, Like us on Facebook to keep up to date on meetings and events at the NEC. Megan Tsui has been named the new Executive Director for the Northfield Enterprise Center. Megan grew up in Northfield and is a graduate of St. Olaf College. She has worked with small businesses for over twelve years. “I’m excited to work with businesses in Northfield. I look forward to getting to know the business owners and helping them in whatever phase their business is currently in.” Megan’s parents are Pat and David Allen. She lives in Red Wing with her husband Kent. They are renovating a 1875 Victorian home.